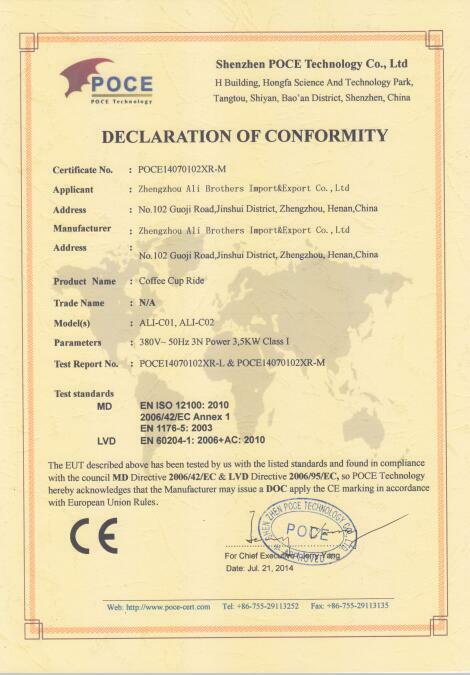 Company Overview - Zhengzhou Ali Brothers Import & Export Co., Ltd.
8YRSZhengzhou Ali Brothers Import & Export Co., Ltd.
Zhengzhou Ali Brothers Import & Export Co., Ltd. is a leading Amusement supplier in China Mainland and we are CE / GOST and ISO9001 certified. 1.Our products mainly includes Ferris wheel SeriesRoller coaster Series, Revolving Series, like Carousel, Bumper car, Track Series like Track Train Inflatable Toys, Water amusement equipment. ETC.2. Our practical Strength of Factory ( Hard Power):We have skilled workforce, special design capability and advanced technology including1,300 workers 100 technicians.50,000 square meters of modern workshop area.3. Our Clients SpreadAfrica (South Africa)Mid-east (Iran)Asia (Vietnam)South America (Cuba)Canada, ETC. "living depends on quality and developing depends on credit"We have been dedicated to large and medium scale of amusement equipment for many years. Our professional technology will provide turn-key solutions for your Theme Park and your tourists. 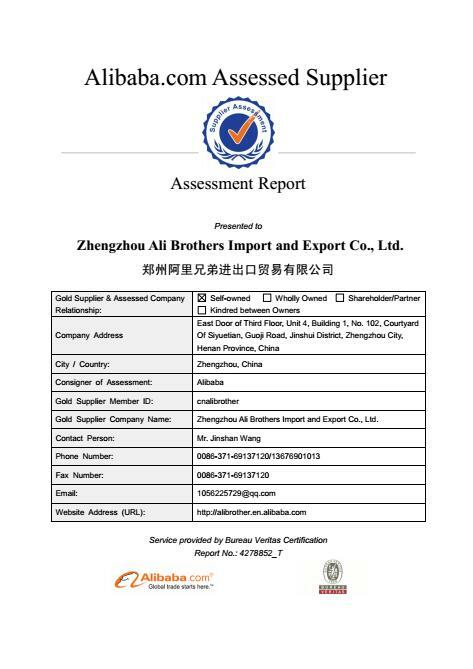 We are golden supplier on ALIBABA. 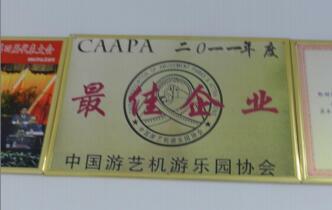 and also quality factory in our field.